Taking Y3T For A Test Drive: Week 2 - Isolation Movements! Roger Lockridge is taking Neil 'Yoda' Hill's Y3T program to the gym for another full body workout. Read on to see how he tackles week 2 of this training program! Ok, Bodybuilding.com readers. I am back with another report on my experience with the famous Y3T program that was created by legendary trainer Neil Hill. Previously I reported on my first week of all compound movements. Now we are going to add an isolation movement to each bodypart and up the volume a little bit. If you haven't read about Yoda 3 Training already, you can check out my first two articles covering it. In short it is a three week cycle training program that was designed by Neil "Yoda" Hill, retired IFBB Pro bodybuilder, columnist for Muscular Development Magazine, and trainer to some of the biggest names in the sport of bodybuilding today, including but not limited to Gaspari athletes James "Flex" Lewis, Hidetada Yamagishi, and Nutrex athlete Zack "King" Khan. Week 1 is only compound movements for 2-3 sets of 6-8 reps. Week 2 covers three heavy, basic compound movements and one isolation movement for 3-4 sets of 8-10 reps. Week 3 is the big and intense week that Neil calls "Total Annihilation" where you use many different techniques and movements to exhaust the muscle group in a short amount of time with no rest in between the sets. Once again, I trained this week with the same plan for both pre and post workout. One hour before training I had breakfast which was oatmeal and one scoop of ON 100% Whey Protein(Vanilla Ice Cream flavor). 30 minutes before training I took USPLabs Jack3d and ON Opti-Men multivitamins. During each workout I had Scivation Xtend (Apple flavor for those of you that are curious) ready to drink in between the sets. Finally after training was done, I took GENR8 Vitargo(Orange Flavor) and two scoops of the 100% Whey so I could recover quicker and better. Also this week I added 1000 mg of Vitamin C from Ultimate Nutrition. I would have a chicken salad about one hour afterward. 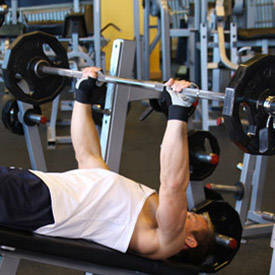 Now I still want to keep the emphasis on the upper pecs and still stay away from flat movements. 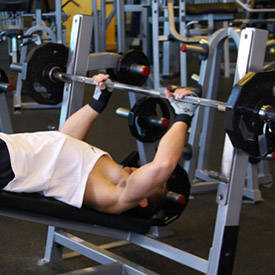 Therefore I am going to do incline flyes and I am going to do them after declines. I added Wide Grip Pulldowns for my lat workout. I am going to focus on going slow and swinging as little as possible. I think leg day is going to be the best day for the week. I liked the last leg session and now that I am adding on to it. Shoulder day should be pretty quick just like the back workout was. Good thing to because I had to be in and out because I had a lot to do. With biceps I have to be careful because of my left elbow. On triceps I want to really feel it working so I am focusing on negatives as I did with the hamstrings. This was a better week than last week. I normally am more of a high volume trainer and adding the exercises and sets really felt good. The only day I had soreness was leg day which I expected. What I am feeling now will pale in comparison to next week. I am really looking forward to the challenges that next week will bring as it is Annihilation Week! Next time I will cover Week 3 of my 3 Week Y3T training experience. This is the big week and I bet it is the one that everyone is looking forward to reading about the most. To find out more about Neil Hill or Y3T, you can either check out Muscular Development magazine or go to www.gasparinutrition.com.